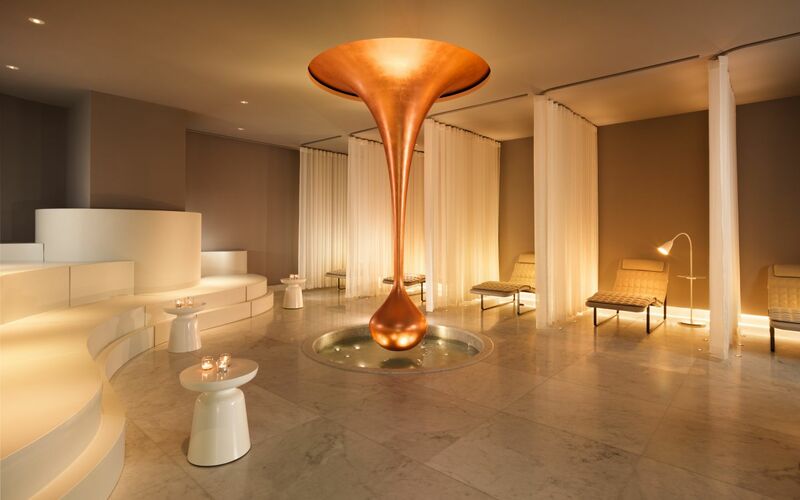 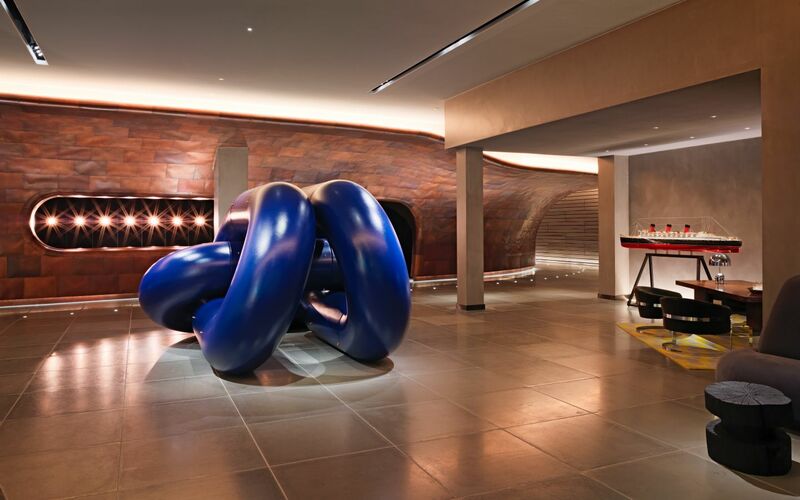 The hotel lobby, with a copper replica of a ship's hull and oversized violet anchor that pays homage to pop artist Claes Oldenburg. 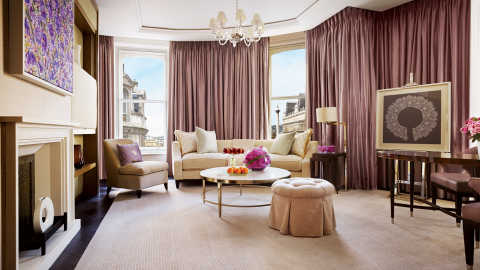 The River View Balcony Suite with warm-wood floors and views of the Thames. 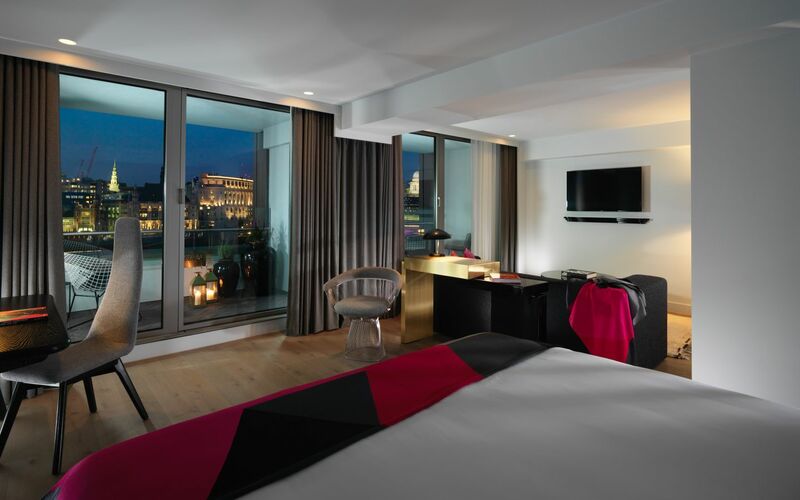 Custom Tom Dixon-designed light installations and furniture pieces in the River View Apartment. 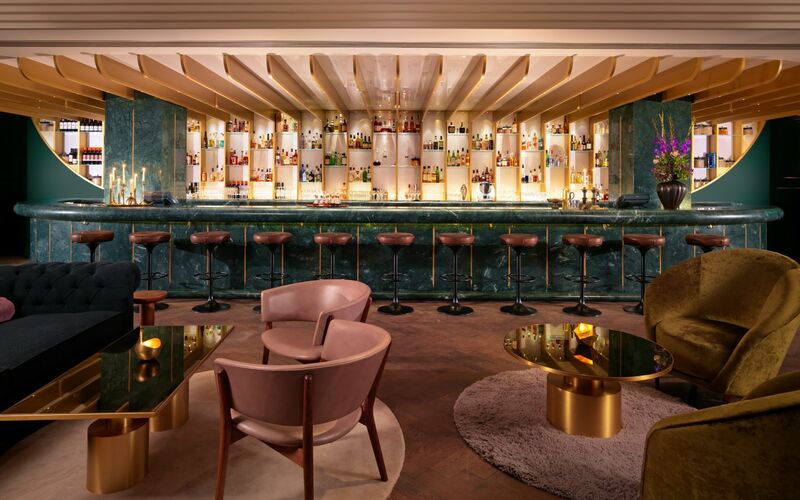 The brass and green marble cocktail bar, Dandelyan. 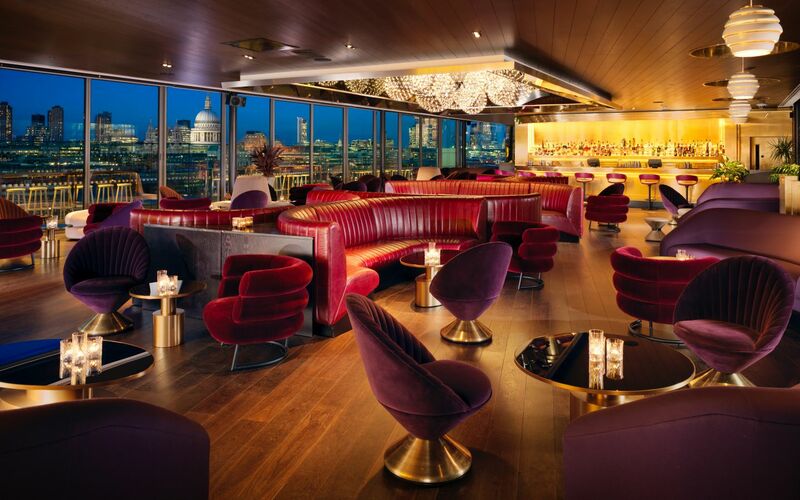 The Rumpus Room restaurant, done up with red leather banquettes and velvet chairs. 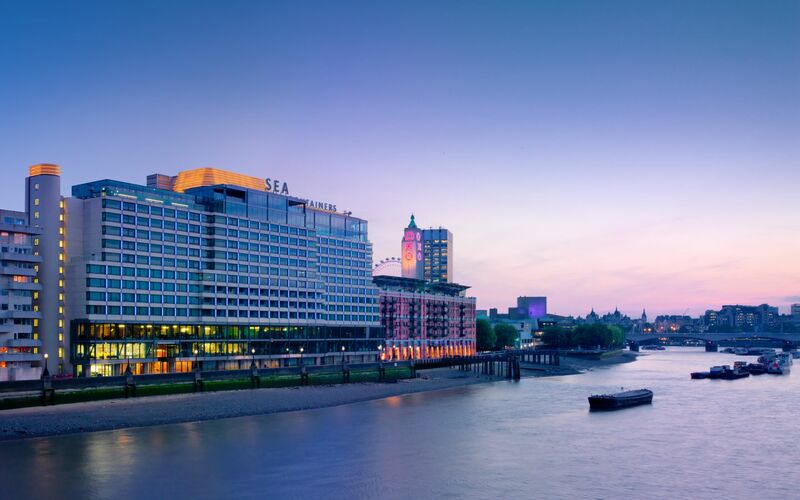 When looking onto the South Bank of the Thames, the Sea Containers Building—once home to a transport and leasing concern—easily stands out; as it should, because inside is now the 359-room Mondrian London. 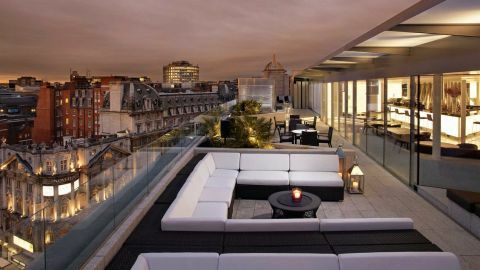 Mondrian properties have long been synonymous with high style, and this one follows suit with the successful formula, having tapped Tom Dixon of Design Research Studio to evoke the property’s 20th-century cruise-ship glamour. 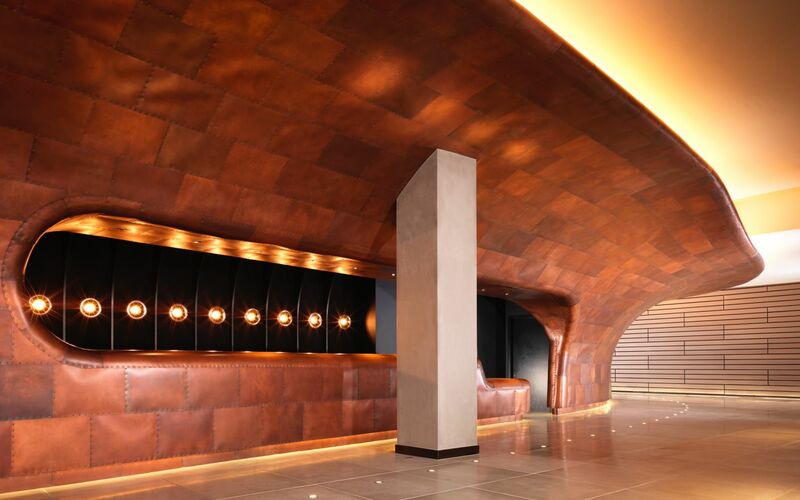 A copper-clad wall, inspired by the hull of a ship, dramatically runs from the outside of the building through the lobby and toward the river side of the hotel. 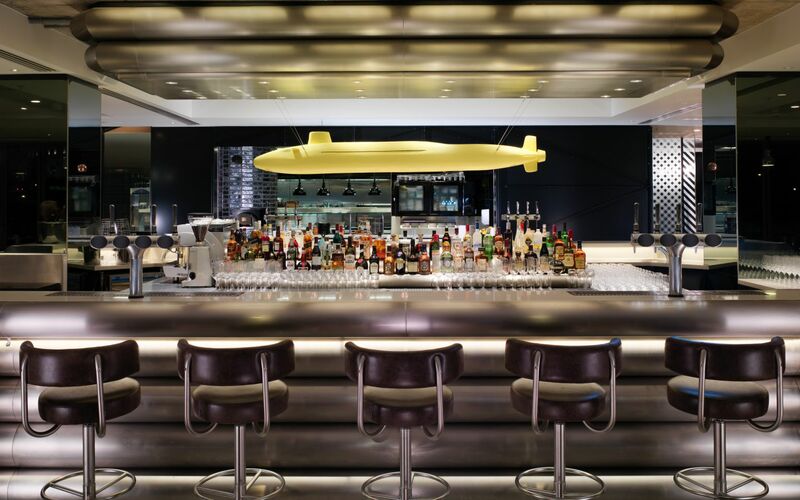 The rooftop bar, the Bright Young Things-inspired Rumpus Room, is set in a sleek glass-box structure. 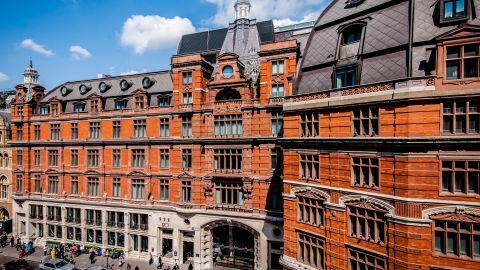 While the River View suites, perched above the Thames, are obviously the most alluring, all are attractive: In addition to swank marble bathrooms, they are graced by Dixon’s own wall paintings and wingback chairs.